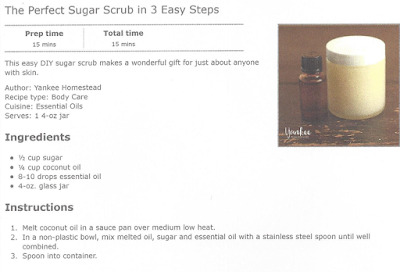 Here's a wonderful body scrub. This is helpful for exfoliating dry, dead skin on your legs, elbow's, heals etc... I used it today and man, it worked awesome! I made a FB video of this and the Baked Feta recipe. I posted it on YouTube if you want to see it, CLICK HERE! TIPS for using Essential Oils in cooking!